As a teenager in high school during the 90’s, I remember religiously reading fashion magazines like YM and Seventeen. The styles were always creative and the content was always about current teen issues, but, there was one thing missing out of those magazines, a young teenage curvy girl that looked like me or even resembled me. Before it became cool to have a little meat on your bones, teen magazines did not showcase any girls with a body type bigger than a junior size 11/12. Even if they did, they had the poor girl in the most basic looks possible. Fast forward to now, atleast two types of curvy figures are featured in teen mags and countless clothing lines that cater to the young curvy girl are also featured, but, we need more. When I think back to my high school days and how insecure I was, because I wasn’t as thin as my friends or couldn’t find some of the same cool clothes they did in my size, makes me wish that there were more teen mags that catered to the curvy girl during the 90’s. Since we can’t turn back the hands of time, I am glad and proud to see the handful of online magazines that are catering to plus size curvy girls. They are truly needed and important to our younger generation. E-mags like Skorch were one of the first to target the plus size reader market and did it in a way that made plus size women of all ages feel like they could be as stylish as everyone else. They made it possible for young girls to see themselves in a positive yet fashionable light. These plus size magazines are important because they are offering young girls a higher self esteem as well as body images that they can relate to. There are a myriad of young plus size girls out there who are battling with body acceptance and feel like they must lose weight in order to dress or look a certain way. Plus size magazines make it possible for these young women to see that they are beautiful and can look great at any size. You don’t have to be thin to be stylish. Plus mags like Daily Venus Diva are great resources for health, beauty, travel, and business. 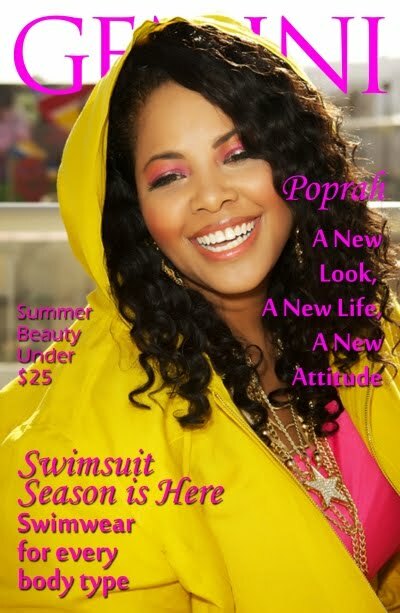 Plus Model Magazine is the leading online magazine for helping plus size models start and better their career. The magazine offers information anywhere from how to strengthen a modeling portfolio to finding a plus size modeling agency. Today, plus mags are garnering more attention than ever before as they are being discovered daily by young plus size curvy girls who are craving great fashion in sizes above a 12. Just recently Gemini magazine announced that their online magazine will be going to print. This is a great feat for any online magazine. Within the next few months we will be seeing a couple more plus size magazines emerge, like PHAT magazine and Evolve magazine. It is imperative that we continue supporting these magazines online and in print so that there will come a time where we can pick them all up on newsstands across the world. So, if you haven’t familiarized yourself with these yet, then you need to hop to it.